I'm a friend of Sarah Conner. I was told that she's here. Can I see her please? The Cyberdyne Systems T-800 Series Model 101 Terminator is one of the all time classic cyborg characters from science fiction. You can get a terrific Halloween mask of the T-800 and even display it as a piece of artwork, but it's just missing a little something. I know, a terrifying cyborg eyeball to look around, assessing it's environment for potential targets! 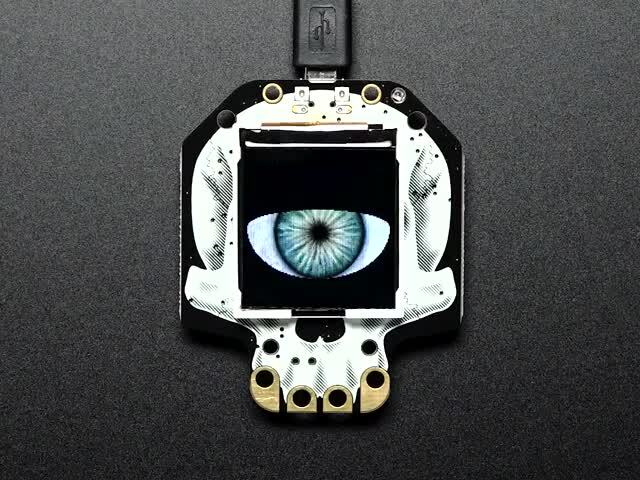 You can use the HalloWing M0 Express board with it's TFT display and a convex lens, along with the excellent Terminator eye animation firmware add this key element! We'll use a plastic under-skull to attach the eye and mask onto a stand for display. 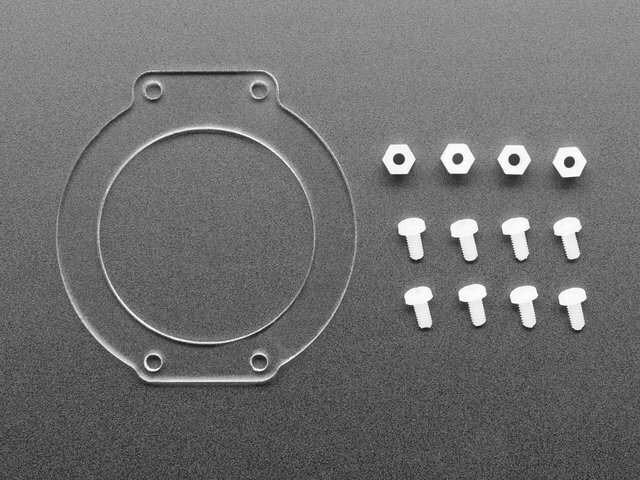 You'll also need the acrylic mounting kit. 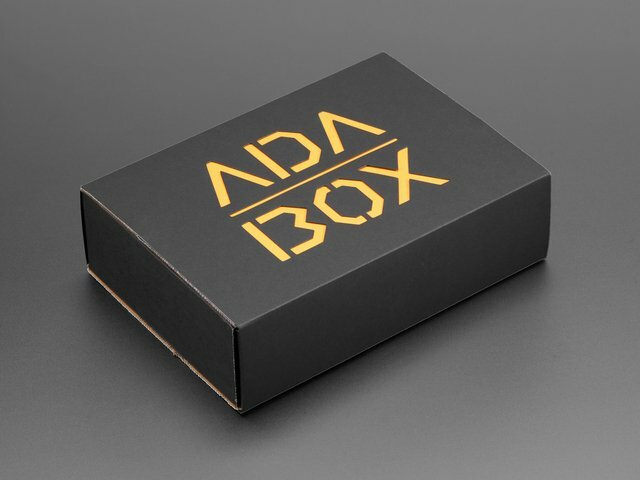 It comes in AdaBox 009, is also sold below. You can alternatively use thin zip ties to hold the lens in place. 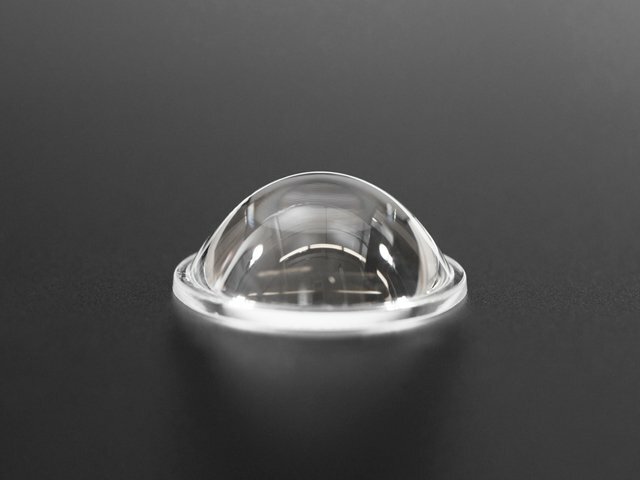 The perfect kit for mounting a convex lens (glass or plastic) to your HalloWing! A wig stand / foam head may also work well. This guide was first published on Oct 16, 2018. It was last updated on Oct 16, 2018. This page (Overview) was last updated on Apr 06, 2019.